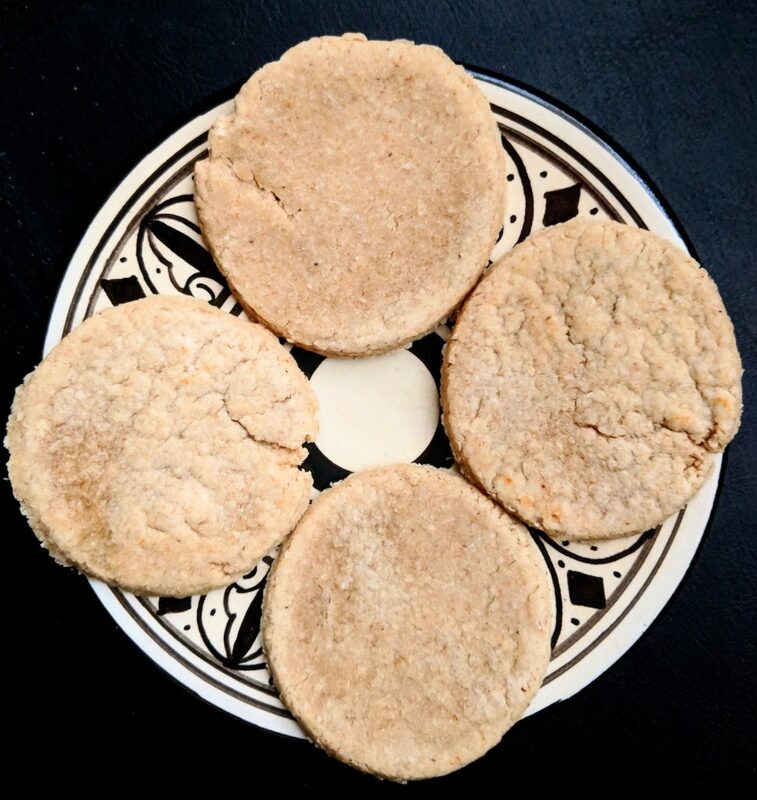 Oatcakes are versatile, they can accompany sweet or savoury foods, they have a low glycaemic index and can be eaten by people with gluten intolerances in some cases. 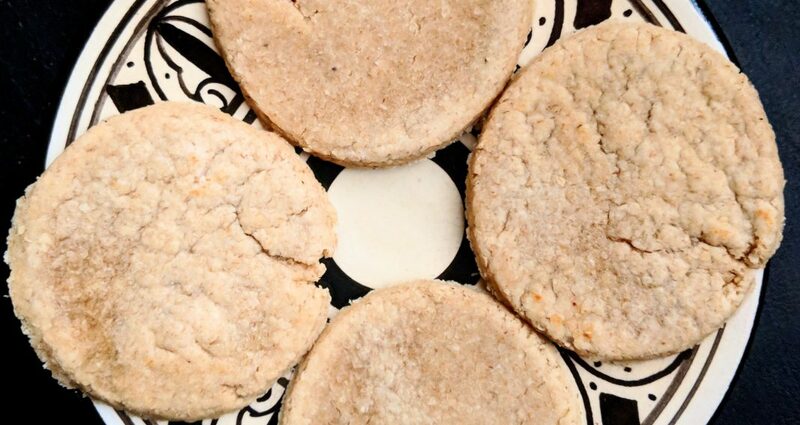 This homemade oatcakes recipe is very straightforward and you can enjoy your very own oatcakes with no commercial additives in less than an hour. In a bowl, mix together the oat flour and sea salt, then add about a third of the hot water using a wooden spoon and combine. Add the vegetable oil and some more hot water, mixing well, then the remaining water. 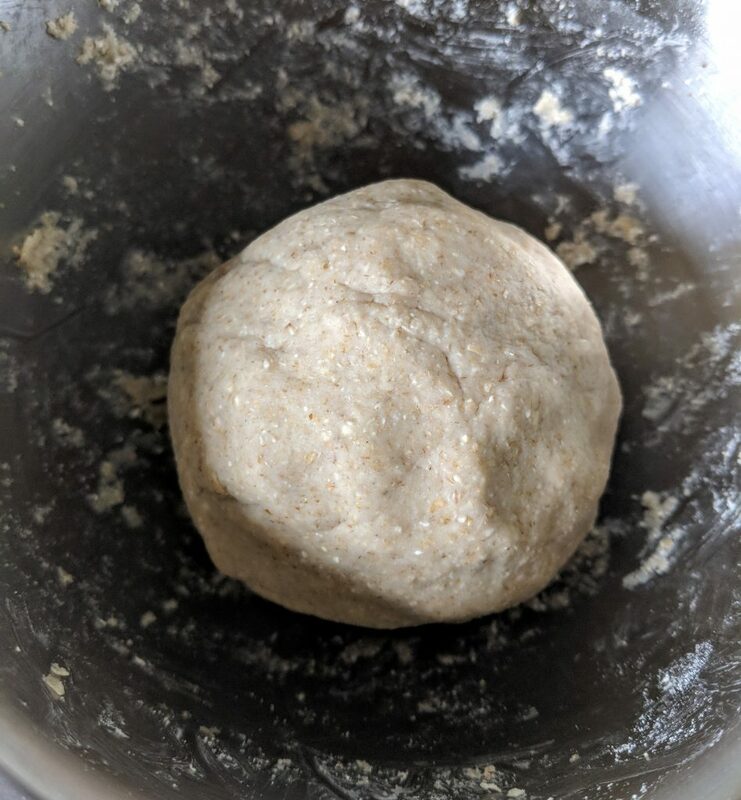 Keep mixing to combine and cool down the mixture, then transfer the dough onto a clean surface and knead into a ball. Use a rolling pin to obtain a very thin sheet, about 3mm, then cut out circles using a mug, a drinking glass or a metal cutter. Preheat the oven to 180 degrees Celsius. Line a baking tray with greaseproof paper and place the oatcake circles in it. Bake for 10 minutes on one side, take the tray out of the oven and turn all the oatcakes over to the other side. Be careful when turning as the circles will be delicate and they may break. Bake for a further 10 minutes, always checking that the oatcakes are not taking colour. Leave to cool down completely before storing them in an airtight container. These oatcakes will not keep for long as they don’t have preservatives so only bake as many as you will need for a couple of days. Related recipe: beetroot, oat and barley flatbreads.